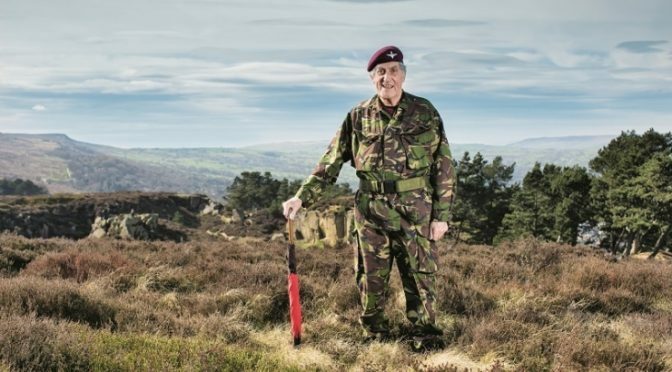 To mark the RAF’s centenary and to continue his 11-year tradition of raising funds for military charities, ex-Paratrooper Jeffrey Long MBE walked 100 miles for 100 years of the Royal Air Force. 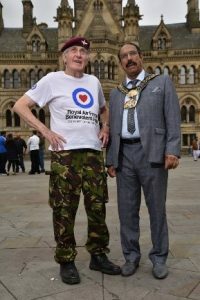 The 86-year-old walked 10 miles at 10 different RAF stations, in tribute to the service’s 100th birthday and raise funds for the RAF Benevolent Fund and Support Our Paras. He began his walk on 16 September at the PARAS’10 in Catterick, before heading off to 10 RAF stations before a grand finale at RAF Odiham. Last year Jeffrey’s 86-mile walk in recognition of his birthday, went viral thanks to comedian Jason Manford who retweeted his appeal. He also received a lifetime membership from the Royal British Legion, who was the main beneficiary. The Prime Minister Theresa May MP also recognised Jeffery’s incredible efforts with a Points of Light Award, congratulating him on his ‘long-serving support of Armed Forces charities’. Jeffrey’s fundraising began 11 years ago when he walked 650 miles from London to Lausanne in Switzerland. Since then he has completed Liverpool to Leeds, Hadrian’s Wall and the Three Peaks Challenge, to name but a few. 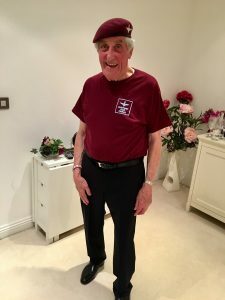 Jeffrey, who served in the Army from 1950 to 1957 before leaving due to injury, admits age had forced him to slow down in recent years, and he’s not carrying the heavy packs he once did, but he remains as determined as ever to raise funds and awareness for the charities he loves. Aaron Tillyer, regional fundraiser for the RAF Benevolent Fund, added: “Fundraisers like Jeffrey are truly inspirational. I’m bowled over by his enthusiasm to get out there and raise funds for charity.